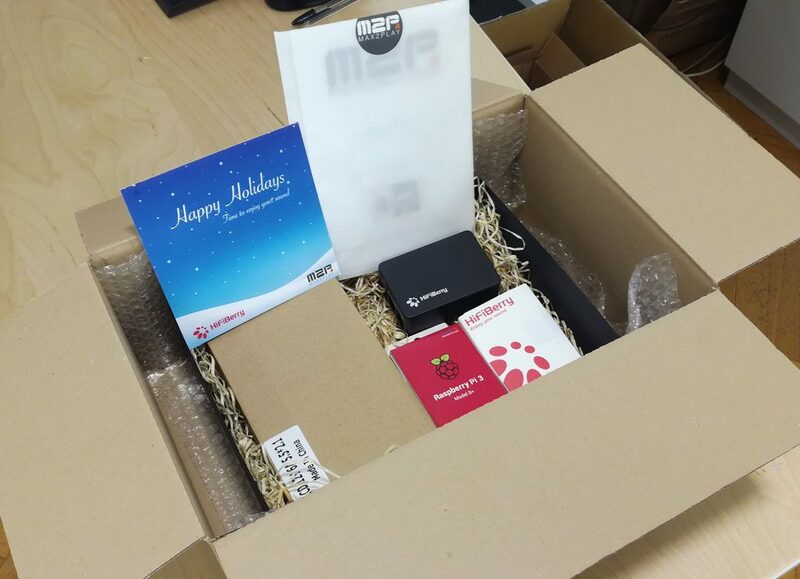 Just in time for the Holidays we have been working on a special promotion for the Max2Play Community. 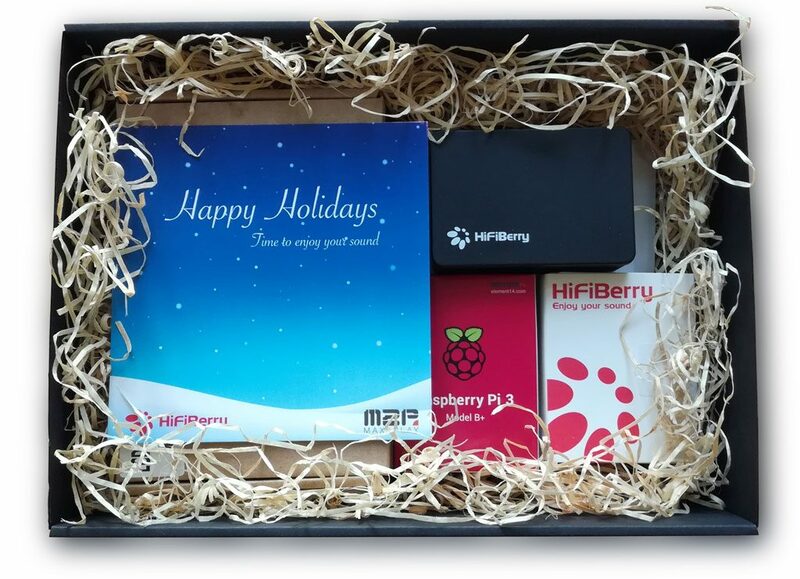 In collaboration with HiFiBerry we put together a limited edtion Holiday Box – perfect for everybody looking to start a DIY audio project or gift one to their loved ones. 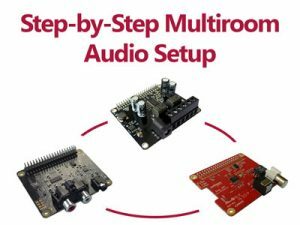 The bundle includes everything you need for a full Max2Play HiFiBerry setup, complete with amplifier and power supply unit. All you need are the speakers and the music! The beautiful black box is now on sale in the Max2Play Shop. 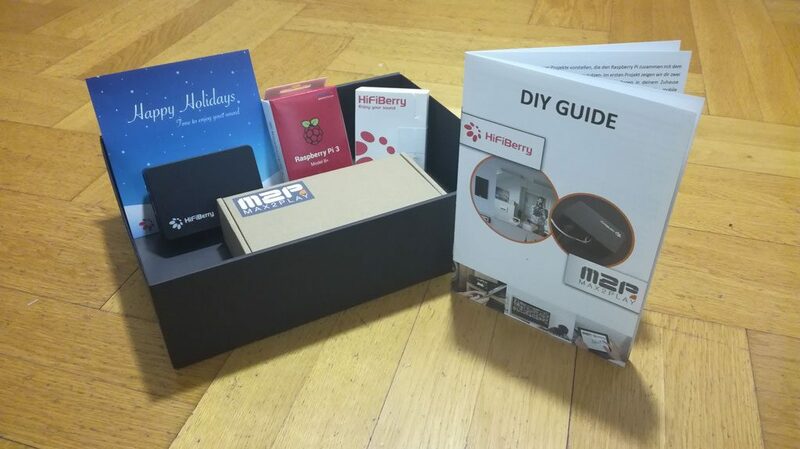 All components ready for shipping. That’s how the bundle will arrive at your home. 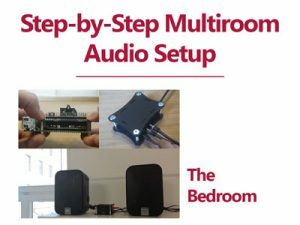 The exclusive DIY-Guide offers two possible use cases with step-by-step instructions for different applications, like how to set multiroom audio in either bath or bedroom. 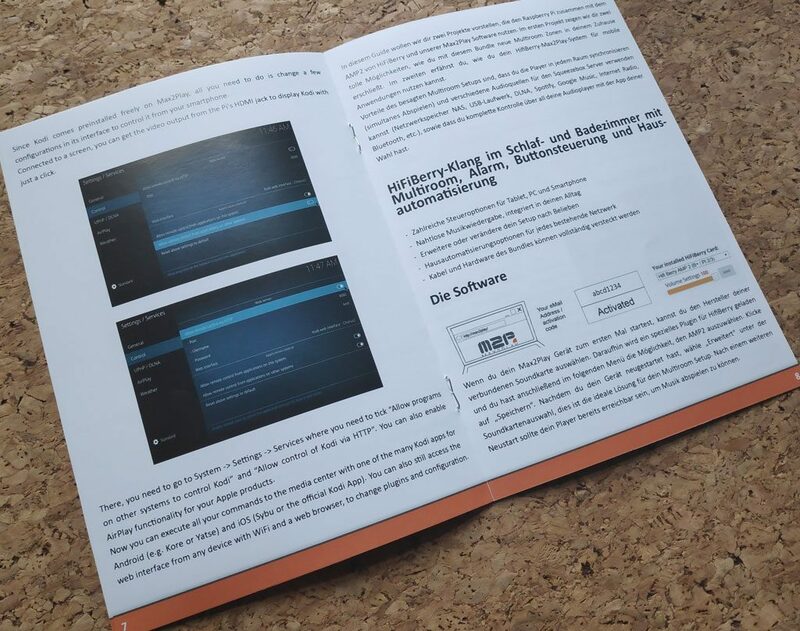 We selected two particularly popular setups and put them into a neatly arranged, 16-page-long booklet with pictures and descriptions. 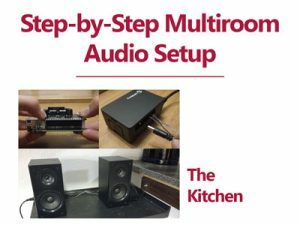 With this DIY Guide anybody can get started right away with their box and set up their installation of choice. 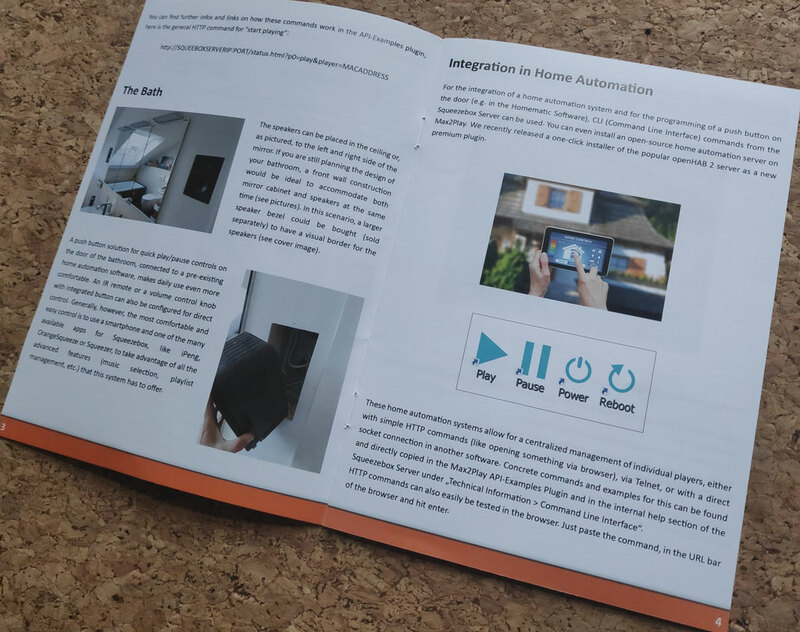 In the first chapter we show you the advantages of a network player with Max2Play, its various application fields within home automation as part of a multiroom system as well as practical implementation in bath and bedroom. In the second chapter we show you the other way, by taking the whole system on the go. 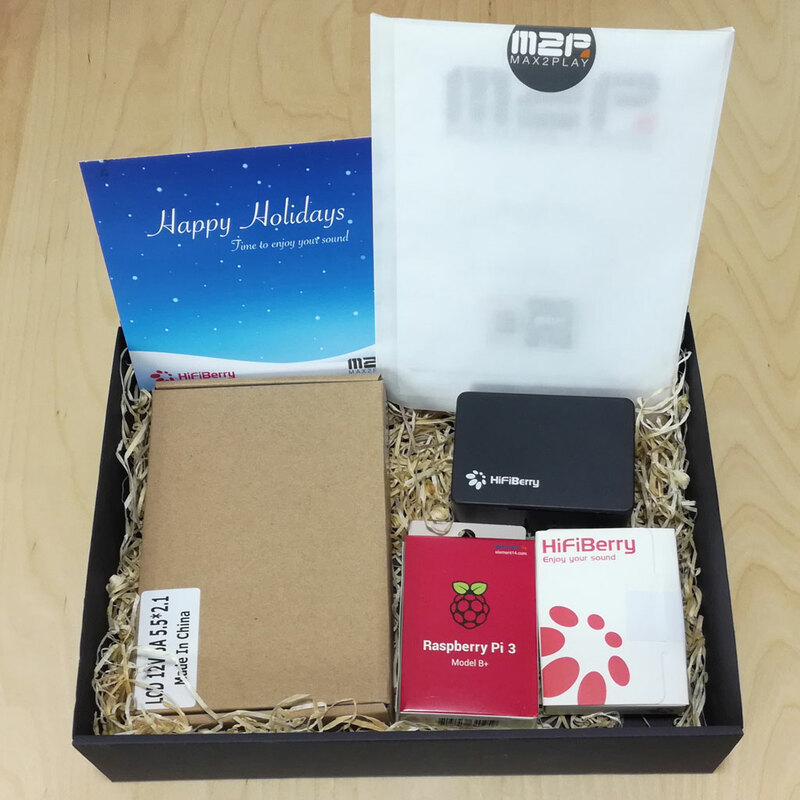 With our Access Point Setup you can create your own network within the Raspberry Pi’s WiFi with just one click on „install“ in our Max2Play web interface. 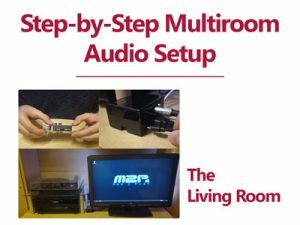 Afterwards you can use Max2Play’s offline features anywhere you want and set up your custom mobile media center to your needs.